Dr. Maria Basile, MD is a Doctor primarily located in New York, NY. She has 16 years of experience. Her specialties include Ophthalmology. She speaks English. Dr. Basile has received 3 awards. The overall average patient rating of Dr. Maria Basile is Great. Dr. Maria Basile has been rated by 29 patients. From those 29 patients 9 of those left a comment along with their rating. The overall rating for Dr. Maria Basile is 4.0 of 5.0 stars. She hurries through her appointments and doesn't relate to her patients in a personal way. This was my daughter's experience as well as mine. I have been to Dr Basile before and was very pleased. I called for an appt for an eye issue, the first time I was offered an appt weeks in advance. The second time(foolish me!!) the rude receptionist said there was nothing even though I was in great discomfort. Told me to call the 23rd st office,another rude encounter..I was transferred to some one who ended up being a voicemail. Sorry to say my eyes are way too important...and I have found a NEW wonderful doctor who saw me the same day.!! Very negative experience with Dr. Basile. She has a reputation amount patients and her colleagues for always running late, which I personally find disrespectful. I found my dealing with her to be great. She did my cataract surgery, prepped me properly, spent a lot of time with me both before and after the surgery. For the first time in my life I can see without glasses and I was blind as bat! I did have weekly checkups after surgery and when she noticed that a partucular prescription wasn't working she promptly switched me to something better. Is her office busy, yes, but so is every other doctor's office I have ever been in. For what ever reason, all offices tend to over book patients. But was the wait bad, no, averaging 15-20. If you want a good, no nonsense, professional doctor with a great attitude, she is for you. 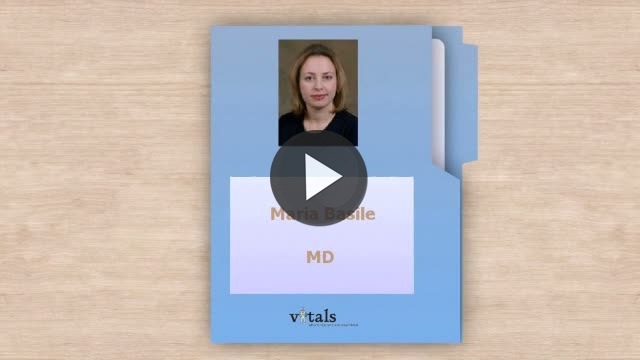 Take a minute to learn about Dr. Maria Basile, MD - Ophthalmology in New York, NY, in this video. Dr. Maria Basile is similar to the following 4 Doctors near New York, NY. Dr. Maria Basile Is this you? Have you had a recent visit with Dr. Maria Basile? Select a star to let us know how it was.